The Rolls watch history is linked with Blancpain and the development of the automatic wristwatches. In the 1920s, Frédéric-Emile Blancpain met the British watchmaker, John Harwood, who had been working on the concept of automatic winding in wristwatches. The two worked together and used a Blancpain base movement to develop a circular automatic wristwatch in 1926. - In 1931 F.-E.Blancpain collaborated with the French watchmaker Léon Hatot, with another form of automatic winding system. Placing the movement inside a carriage allowing it to slide back and forth, winding up the mainspring. The size of the calibre meant that a small ladie's rectangular watch could be made, which had not been available before. The name of the watch Rolls may have been influenced by the way in which the automatic functions. It has also been suggested that F.-E. Blancpain selected the name in connection with the Rolls Royce brand. The Rolls did not have a conventional winding and setting system due to the sliding action of the movement inside of the case. 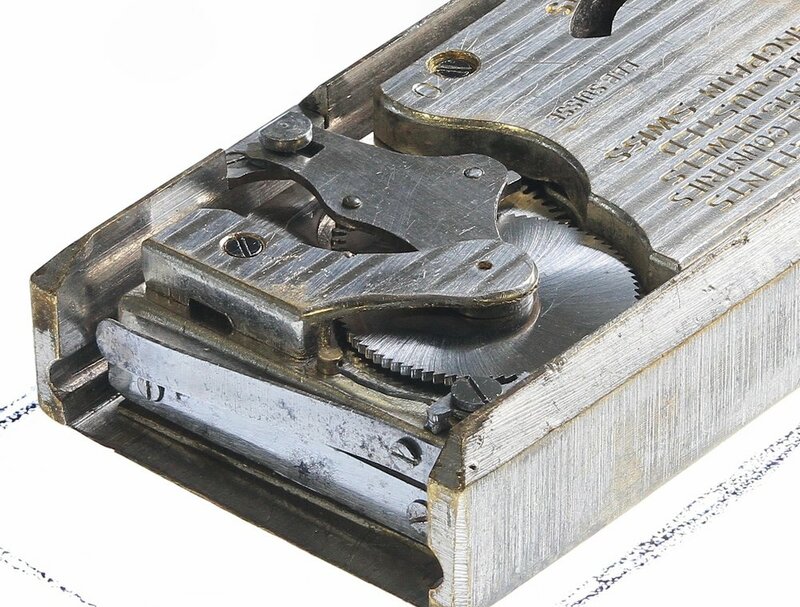 Therefore the bezel was hinged allowing access to the setting of the hands by the serrated wheel protruding at two o'clock through the movement carriage. 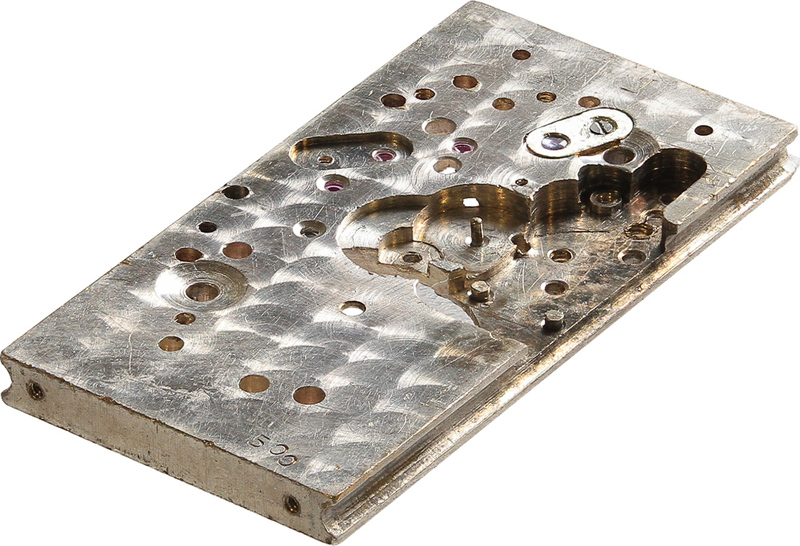 The carriage with movement, removed from the watch case. The empty case; the glass was a mineral crystal and the cases only dust proof. The winding system viewed from the back of the movement. The operating lever to the left of centre, pivoting on the same axis as the secondary ratchet wheel, which in turn winds up the primary ratchet wheel fitted to the barrel arbour. Below the underside of the operating lever linking the carriage to the ratchet wheel winding up the mainspring. The piece can be seen in the assembly above. The images below show the movement in the two most extreme positions inside the carriage. The ball bearings that the movement slides upon. At the end of the movement are two flat springs which form bumpers, for the movement to soften the impact when sliding back and forth. The complete movement outside of the case. The forked steel piece at five o'clock is the operating lever linking the movement to the case to wind the mainspring. The back of the movement with the movement bridge weight (added for a better winding action) covering the balance and train removed. The calibre was produced prior to shock protection for the balance pivots. 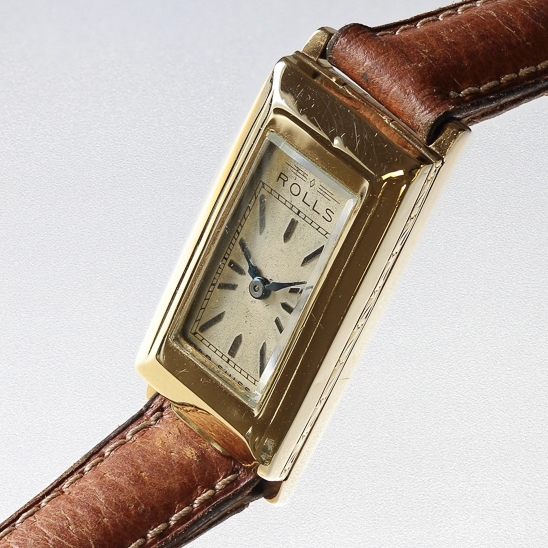 The Rolls is an early automatic timepiece which holds a place in experimental wristwatch-making history, at a time before effective automatic wristwatches existed. Made when watchmakers were still searching for ways to automate the winding process on the wrist. As a mechanism, it was not highly efficient or in general a practical movement, but it does represent an idea made into a reality which became part of history. A fully exploded image of the Rolls. To learn more about the history of Blancpain click on Lettres du Brassus.